Ian Walsh of Integrity Property brings this unique family home to the market in the well-established estate of Monastery Gate. This pleasantly presented four-bedroom property lies nestled at the end of a mature, leafy cul-de-sac. It has been truly transformed with a well thought-out two-storey extension, and offers fabulous garden space with a heavenly sun-drenched South West aspect. In walk-in condition, this bright and airy home boasts two reception rooms – one to the front with a cosy centrepiece fireplace, while to the rear lies the spacious playroom/second reception/fifth double bedroom, with French doors opening out onto the attractive sunny garden. The warm and welcoming kitchen/diner is fitted with superior walnut solid wood units, plentiful storage and is suitable for integrated appliances. With a separate utility room, guest WC and custom fitted under stair storage, this is sure to appeal to any family. Upstairs there are four good-sized double bedrooms – two with sliding wardrobes, a large hot press, spacious family bathroom and two attics, both floored and insulated with electricity and access stairs. The generous master bedroom with en-suite boasts an enviable walk-in wardrobe/dressing room. The beautiful mature back garden is family friendly with a spacious patio area and lawn, a substantial 13 ft. shed, and gated side access. The South West aspect is perfect for entertaining and relaxing on long sunny summer days. 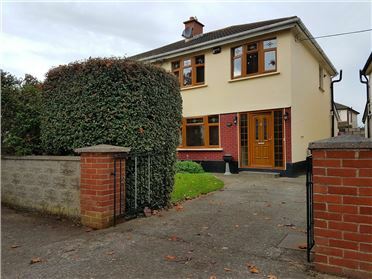 Monastery Gate is a well located estate, very close to the M50, the Red Cow interchange, LUAS/park-and-ride, Clondalkin village, public transport links and schools. 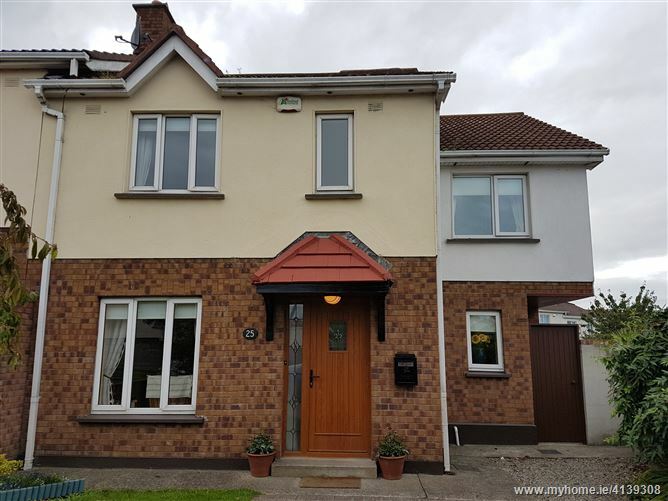 This property has a safe, secure location with a large cobble-lock and gravelled driveway providing off-street parking for 3-4 cars, and is not overlooked at the front. Viewing of this fabulous family home is highly recommended to fully appreciate all it has to offer. 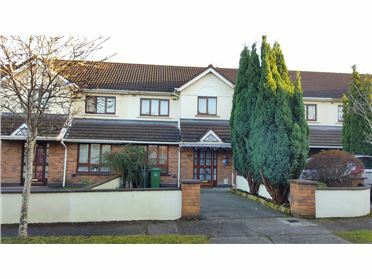 Contact Ian Walsh of Integrity Property for further information and to arrange a viewing.